In the late 1880s, the Texas prison system built a short rail line from the state penitentiary facility in North Rusk southwestward to hardwood timber stands, where charcoal was made for use in firing the prison's iron ore smelting furnaces. 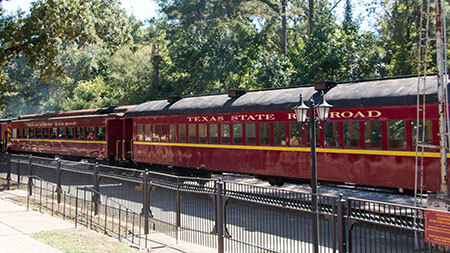 The line served as the foundation of the Texas State Railroad, which was organized in 1894 in an effort to make the prison more self-sufficient by providing new markets for prison products. 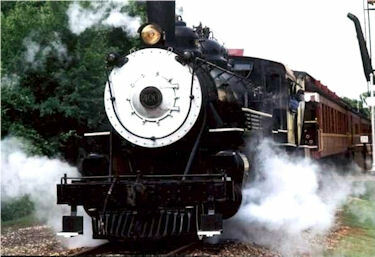 Two Texas governors, James Stephen Hogg and Thomas M. Campbell, both natives of Cherokee County, were instrumental in the railroad's development. 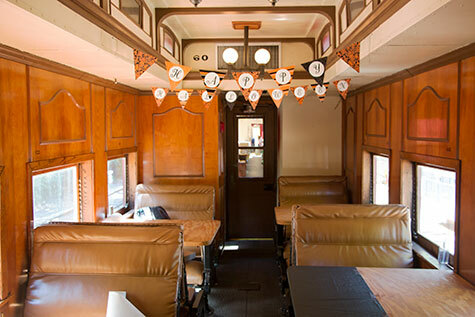 "Lone Star" class rail car. Built by prisoners and supervised by the state prison system, the line was completed in 1909 to Palestine (30 mi. W), where it connected with existing routes. Setbacks, including the closing of the furnaces and the prison unit, limited the railroad's success, however, under a board of managers appointed by the legislature, the line was later leased to the Texas & New Orleans Railroad and the Texas & Southeastern Railroad. In 1972, control was transferred to the Texas Parks and Wildlife Commission for development as a state park. 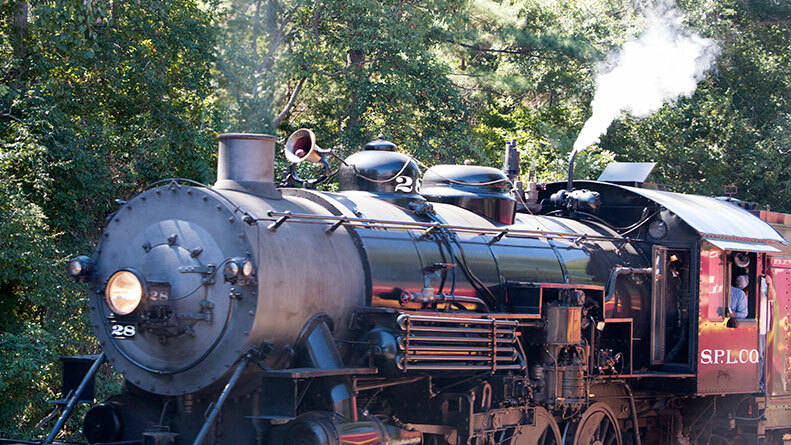 It now symbolizes the significant role the railroad industry played in Texas history.